The summer months are upon us and so is the heat. What I want during the hot summer days is a refreshing white wine, one that drips with condensation as soon as it reaches the table, tempting me to take a sip of the cool liquid inside. 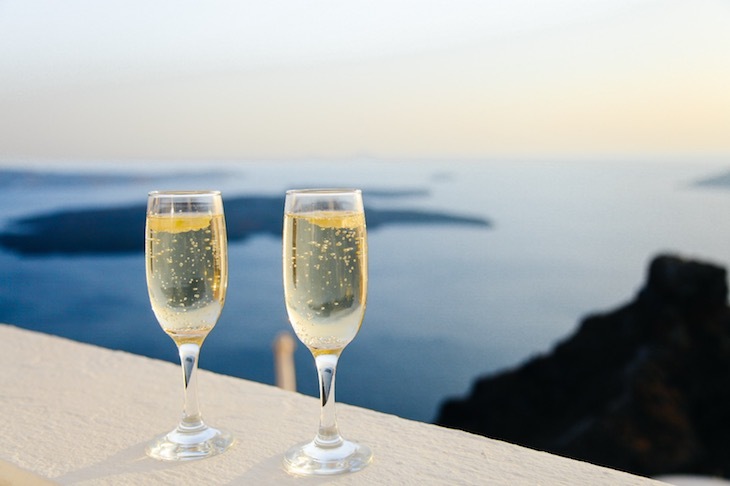 Among the younger, hip generation Prosecco (sparkling wine from Italy) is a big hit internationally but for mature palates, English sparkling is a wonderful alternative to Champagne. One of my favorites is Nyetimber. Nyetimber planted its first vines in 1988 when the rest of the world had hardly heard of English wine. I especially recommend their Blanc de Blancs although their non vintage Classic Cuvée is also toasty and delicious. Another English sparkling wine I recommend is Coates & Seely Rosé Brut. This traditionally made sparkling wine has a light salmon pink hue with a vibrant cherry and strawberry nose with tiny, fine bubbles. Recently I enjoyed the crisp, refreshing sparkling wine made by Steven Spurrier called Bride Valley Brut Reserve from Dorset, England. English sparkling wines can be hard to find and also very pricey, so when I am looking for value, I turn to Chile. I enjoy Concha Y Toro’s Cono Sur 20 Barrels Limited Edition Sauvignon Blanc with crisp and lively flavors of gooseberries, apricots and nectarines. Another delicious Sauvignon Blanc is Errazuriz’ Single Vineyard Aconcagua Costa Sauvignon Blanc. I love the subtle layered fresh herb, grapefruit and pomelo flavors with crisp acidity. There is nice depth and minerality that comes through on the finish. It is balanced, juicy and vibrant. For complex, serious collectible white wine, white Burgundy has few rivals. The very best examples have a steely backbone that enables it to prolong its life for decades and surrounding this core is delicate flesh, nuanced flavours that evolve with time. The following five stand out as exceptional Burgundy white wine producers whose wines get better and better with age. Raveneau crafts incredible, age-worthy Chablis with avid followers around the world. The domaine is tiny with only of 7.5 hectares of vines making about 4,000 cases of wine per year. What makes Raveneau’s Chablis so special is their ability to age for decades. The quality comes from the vineyard with the chalky Kimmeridgian limestone that gives the wines minerality and nervosity. While all of Raveneau’s Grand Crus can easily keep for 20-30 years. Even at the basic Chablis level, Raveneau wines are fantastic – expressive, generous and pure. Jean-Francois Coche is a living legend and is held in high regard in the village of Meursault where he resides. Currently, the reins have been taken over by Jean-Francois’ son Raphaël and his wife Charline. What Coche Dury is really known for are his Meursaults. The energy and intensity of Coche Dury wines are without rival and the power of the wines enable them to age for decades, becoming more voluptuous while gaining in complexity and nuances. The prices for Coche Dury wines are astronomical and the wines are difficult to find except through auctions, but every wine lover should have a Coche Dury experience at least once in their lifetime. Leflaive family’s winemaking history goes back over one hundred years and current third generation of the domaine, Anne Claude Leflaive, has increased the quality of the wines to another level. She is well known for being a pioneer of biodynamic farming in Burgundy since the mid 1990s and crafting wines that are delicate and pure with amazing energy.